The Celica nameplate was derived from the Latin word for heavenly, or celestial, and apparently the 1970s Japanese vision of heaven involved a lot of vinyl and plastic. Forty years on, though, these cars are getting plenty of recognition for their combination of style and durability, and some of their more illustrious cousins sold outside the North American market. Those include twin cam engines that should give the best European names a run for their money. As with the European makes, rust has disappeared many of these cars, and the remainders are now hotly fought over by Japanese classic car nuts. 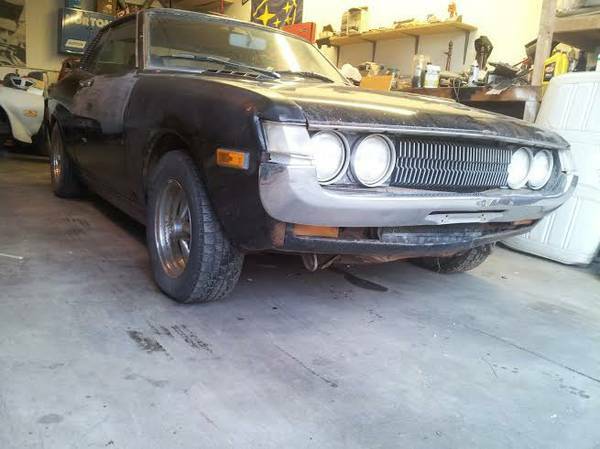 However, there are still survivors popping up here and there – check out this 1971 Toyota Celica for sale for C$3889 ($3556 today) in Kelowna, BC. One of the neatest details on these early Celicas are the door handles. Unfortunately, they are not shown here, but if you get a chance, check them out – their elegant, slim design would be at home on any number of high dollar European cars. This car also has the small smiley bumpers, and was sold new in Surrey, BC. 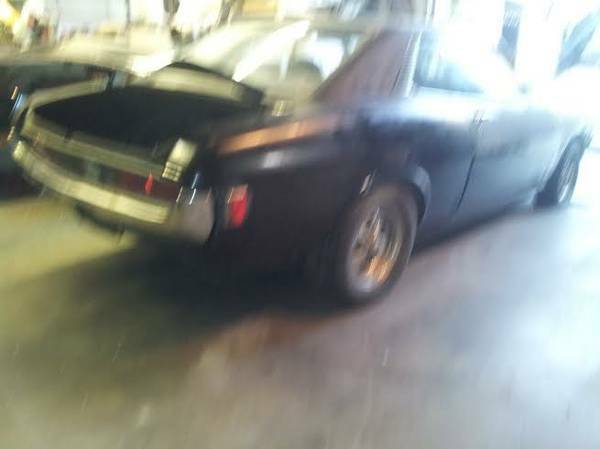 It appears to be in rough driver condition, and features a Mustang 302 with 4-speed, although the transmission has a “bad” second gear. It’s not clear what’s bad about it – synchros, teeth, or attitude, but it shouldn’t be hard to find another 4-speed, although the seller was looking to upgrade to a 5-speed. It’s also not clear whether the transmission is original or an upgrade, so here’s your chance to pick something good. Here’s your Celica. And here’s your Celica on drugs. While this picture looks like the seller took it after his fifth beer, it’s full of useful information – things like the trunk opens, and the car has a rear bumper, lights, and wheels. That said, sometimes the worst ads can have the best values – casual buyers will be driven away by the seller’s weak effort. Would you jump on this car with all the style of a Celica and all the power of the Mustang this car wanted to be when it grew up? This entry was posted on June 4, 2014 at 11:37 am and is filed under Feature. You can follow any responses to this entry through the RSS 2.0 feed. You can leave a response, or trackback from your own site.